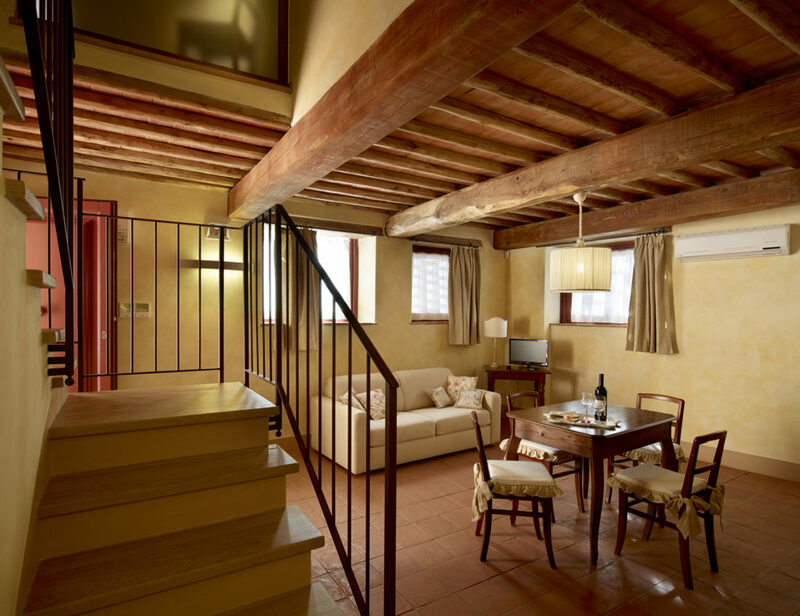 Large apartment with use of a small kitchen consisting of a large living room with a double sofa bed on the ground floor. 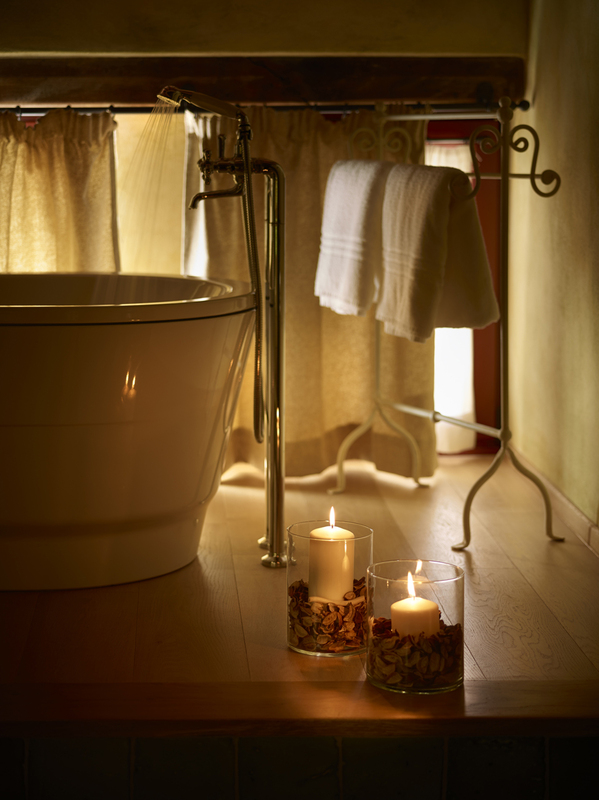 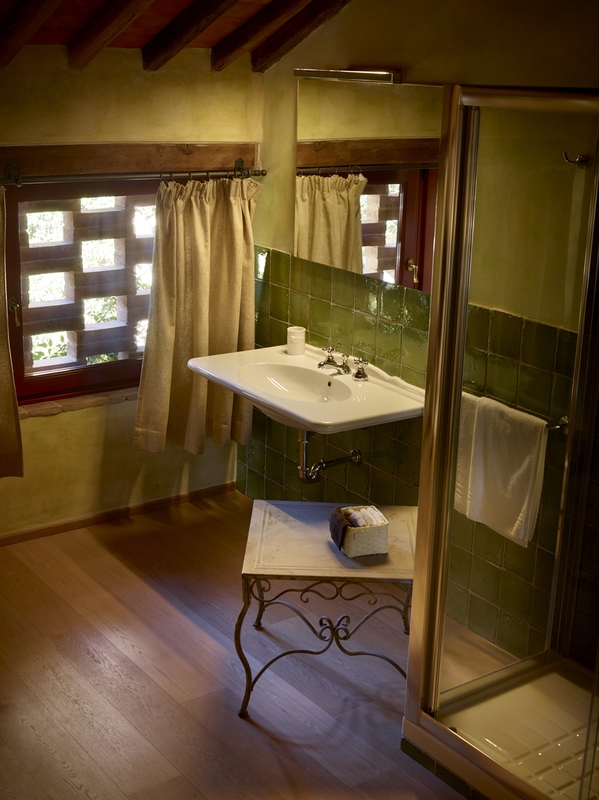 Through a beautiful wooden staircase you access the first floor of the suite where we have a big double bedroom and a large bathroom with a shower and a bath tub placed in the middle of the room. 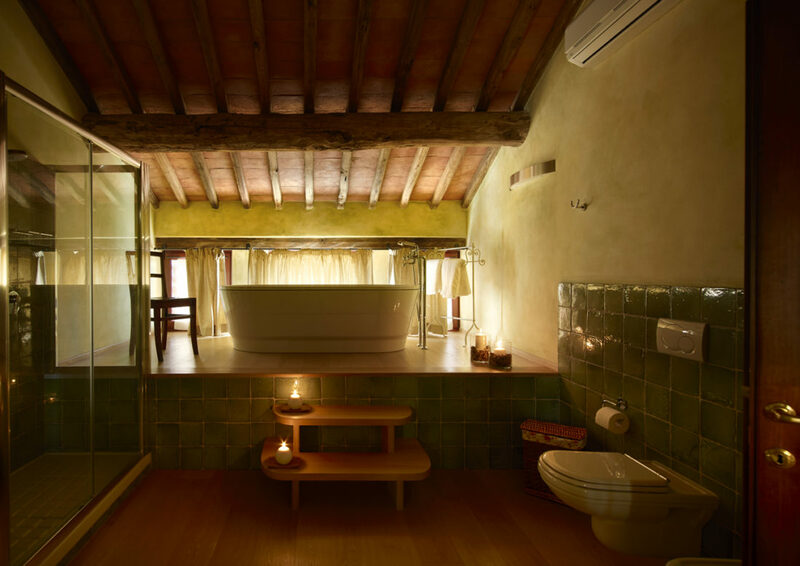 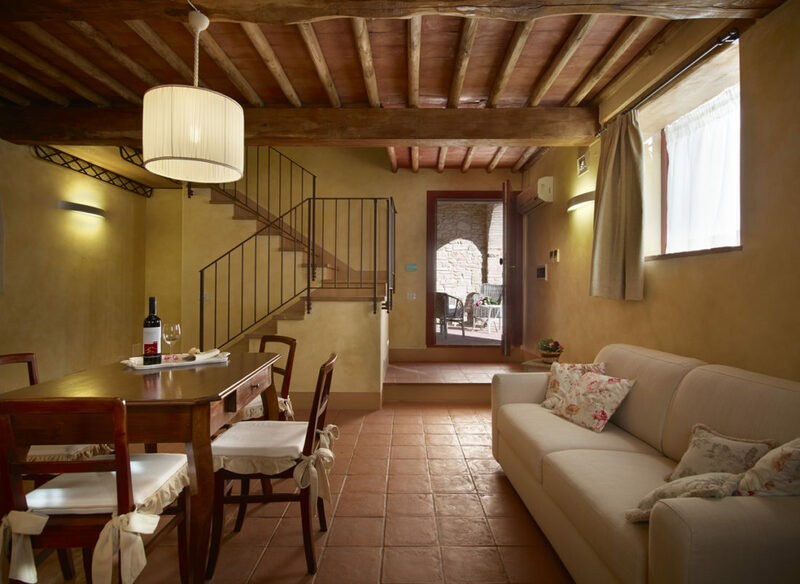 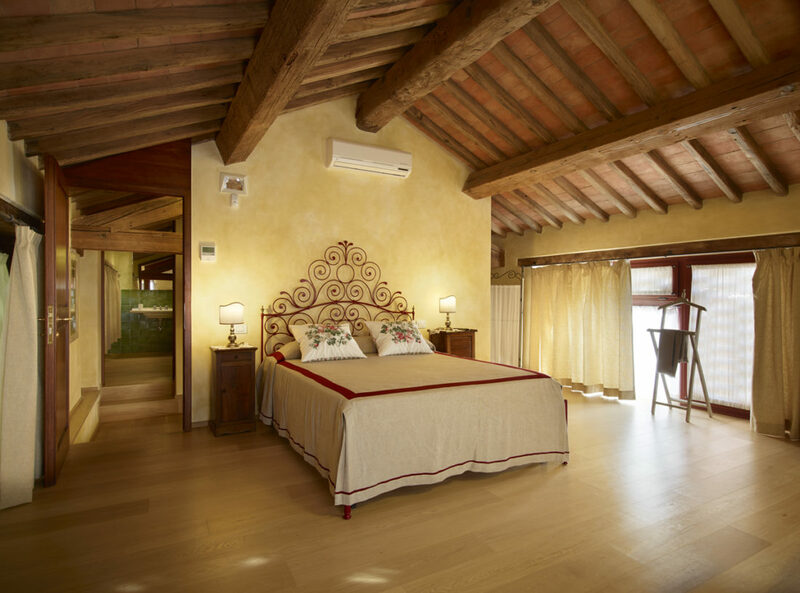 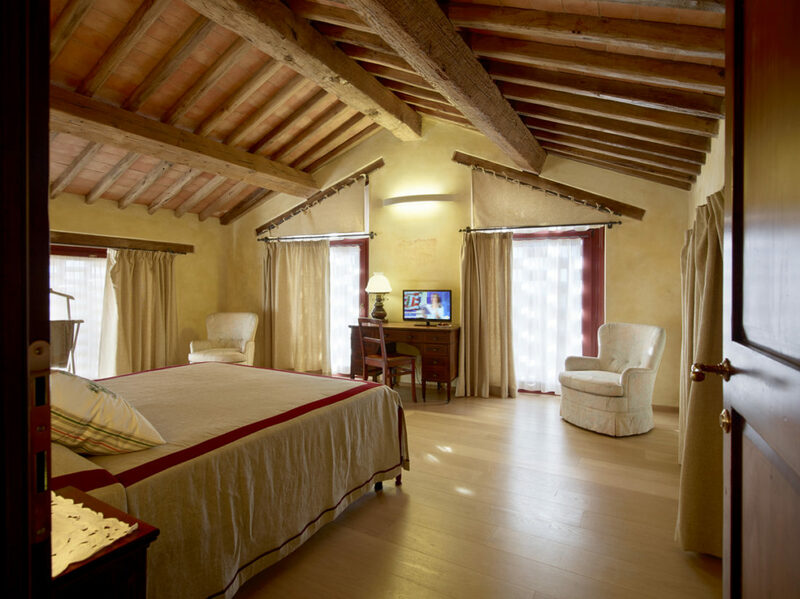 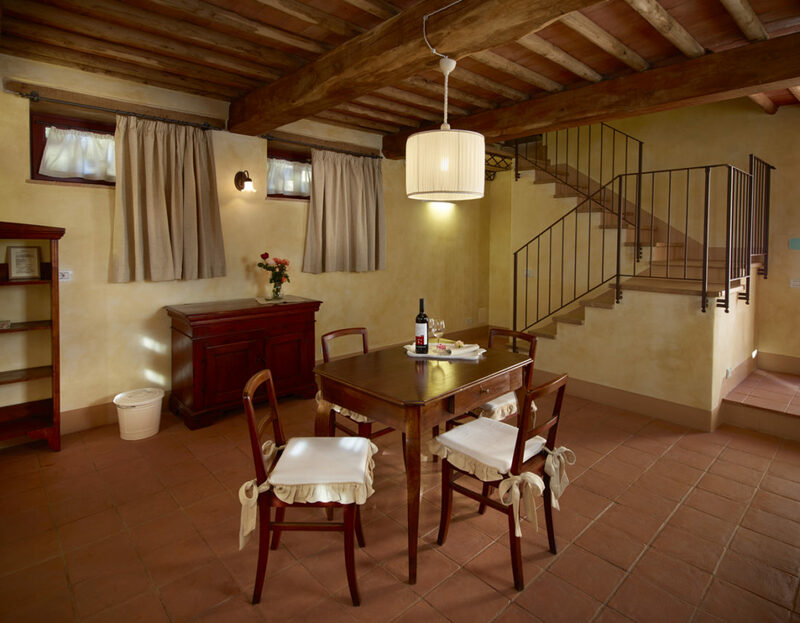 The whole suite preserves the grilled windows that, in respect of the conservative restoration that has been carried out of the whole village, refer to the old barns of the Tuscan farmhouses where the hay was put to dry.